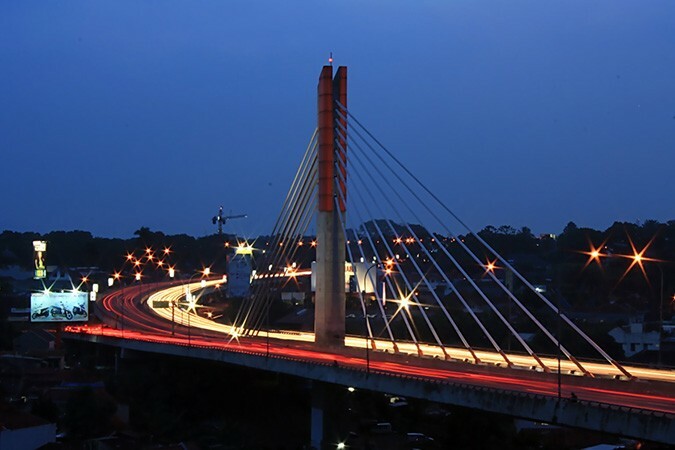 Often referred to as the Paris of Java due to its long European influence and ambience, around 150 kilometres southeast of Jakarta you will find the historical and picturesque city of Bandung. 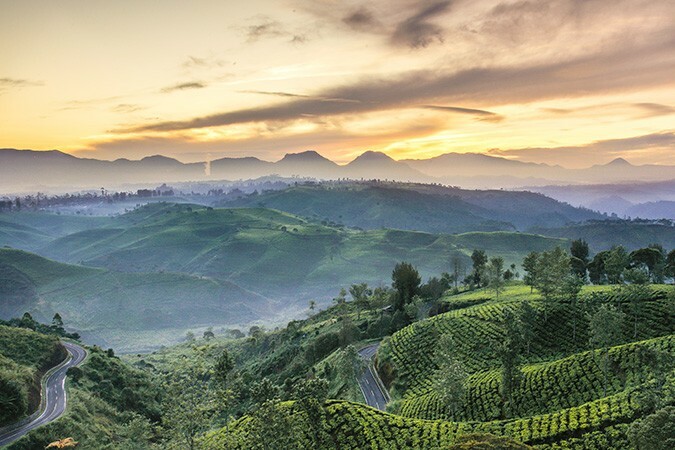 The capital city of the province of West Java, the city is more or less surrounded by hills, volcanic lakes and mountains, which contribute to its cooler climate and, in turn, the region’s historical growth as a centre of agriculture, textiles and tourism. In the 18TH century, the Dutch established the first tea plantations in the area, but this was just the start as Bandung evolved into a cosmopolitan city bustling with cafés, boutiques, villas and hotels, fuelled in no small part by the opening of the Jakarta-Bandung railway line in 1880. The rail link expanded the range of produce that could be grown and with it the generation of wealth. The seemingly endless miles of fertile hills and lowlands soon saw the introduction of the textile industry. 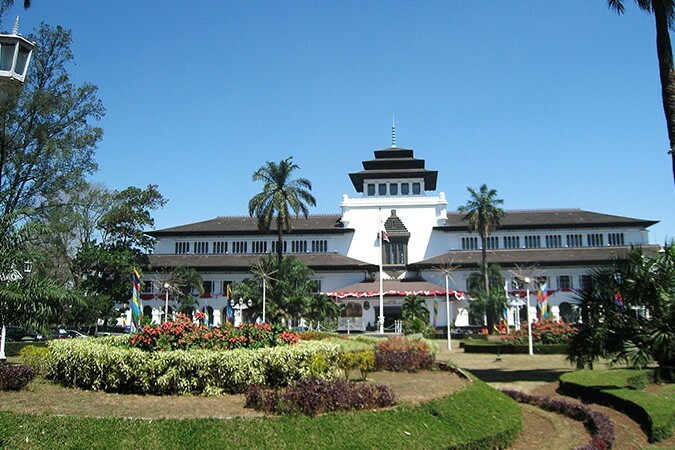 By the late 1910s, the need for skilled professionals drove the establishment of the first technical high school in 1920, a school that grew to be Bandung Institute of Technology, perhaps Indonesia’s most famous university, and the city’s long association with university education was born. Today there are over 25 higher education centres in the city, including The National Hotel Institute, the National Railway Institute, the Senior Officers Military Institute and the Women’s Police Academy. Further afield, the healing properties of the natural volcanic hot springs, like those at Ciater, and stunning cascades such as at the 87m-high Cimahi waterfall – which has recently been illuminated for night viewing – added to the area’s growing allure and its cosmopolitan appeal. Aside from being a magnet for shoppers and the education hub of Indonesia, Bandung boasts a plethora of classy dining outlets and some truly outstanding cafés, bars and nightspots. It is also one of the greenest cities in Indonesia with swathes of open parks and lush fauna, plus an array of must-see historical buildings and often unique attractions. The surrounding area also offers visitors the chance to enjoy some of Java’s most incredible scenery. The adventurous in particular can explore places like Tebing Gunung Hawu – the mountain with a hole in it, part of the Singgalang range, Goa Pawon and famous stone garden of Padalarang, as well as Kawah Putih, a mystical crater lake that formed after the Mount Patuha eruption.